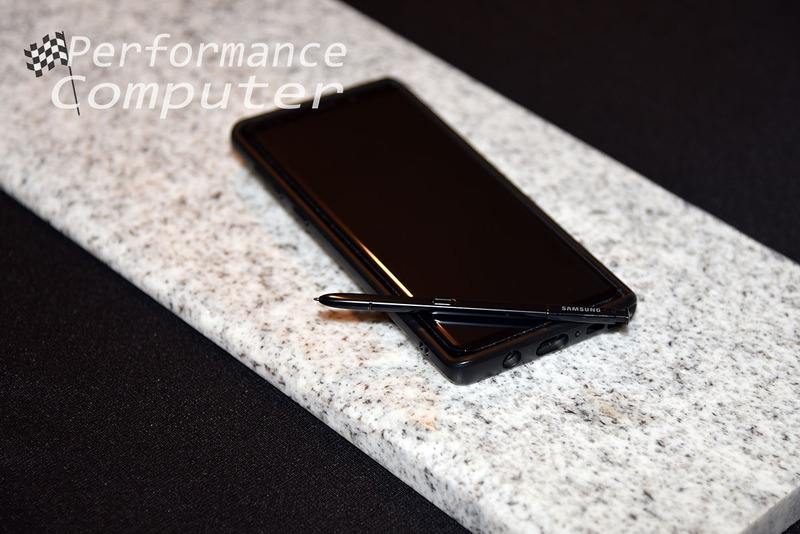 For our RhinoShield SolidSuit Samsung Galaxy Note 9 Case review, we also received the RhinoShield 9H Tempered Glass 3D Curved Screen Protector for the Galaxy Note 9. 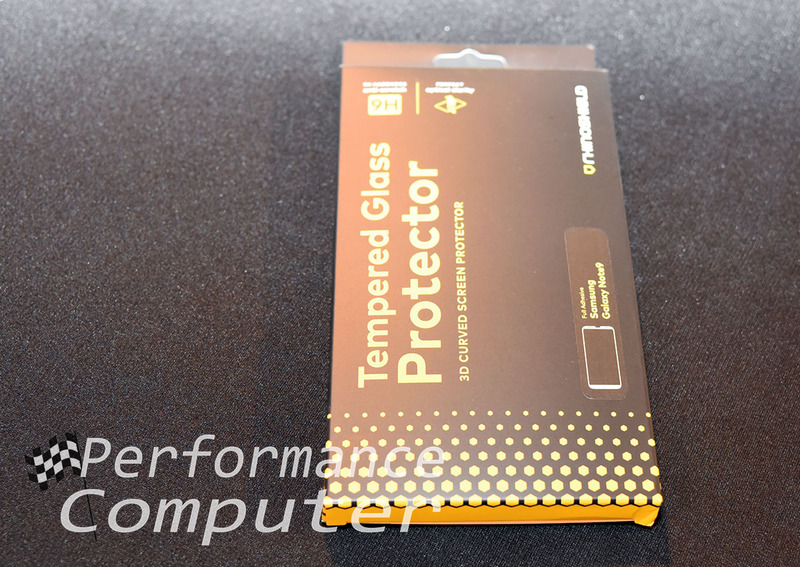 This screen protector, which comes in a box that doubles as an installation mat, is installed with an intuitive alignment tool that takes the frustration out of installing a tempered glass screen protector. 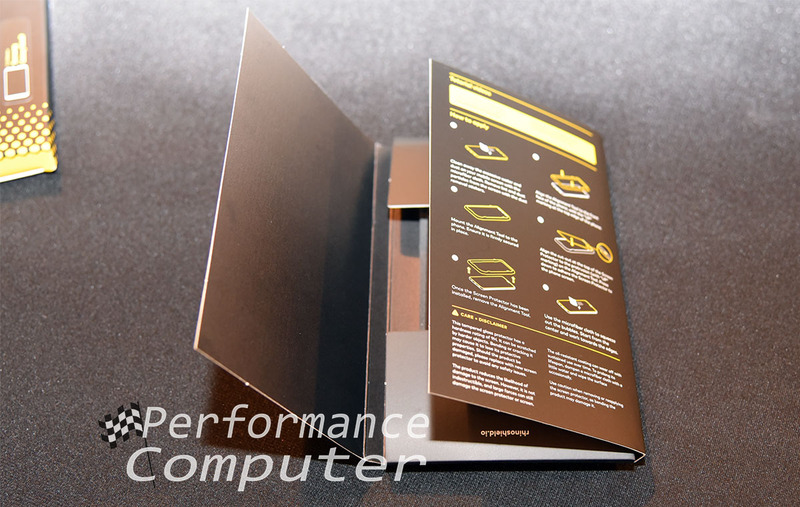 Here’s the front of the box, it displays the RhinoShield branding as well as the 9H hardness anti-scratch rating and “perfect optical clarity” badge. 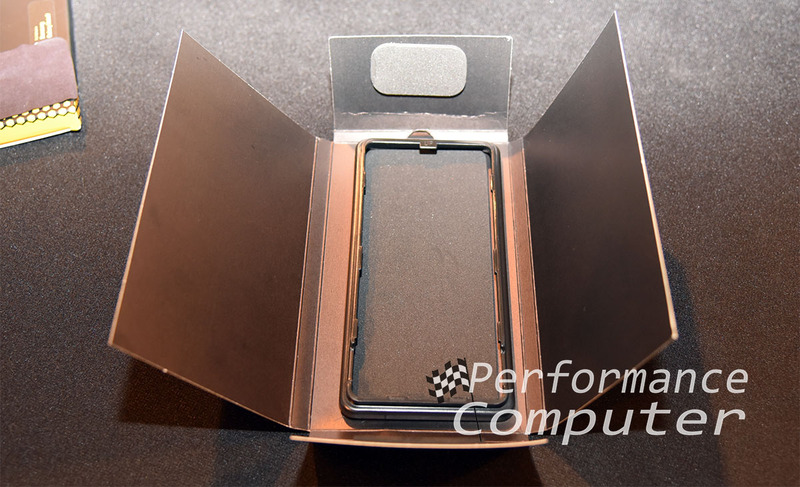 The back of the box displays additional features such as water and oil repellency and the 3D curved edges to match the curved screen of the Galaxy Note 9. As we open the box, detailed installation instructions come into view along with graphics displaying the correct installation angle, etc. In addition to the screen protector, microfiber cloth and dust removal stickers is an alignment tool which simplifies the otherwise tedious process of lining and re-aligning the screen protector to the perfect position. Installation requires cleaning the screen of your device with the microfiber cloth, using the dust removal stickers to remove any remaining fibers, dust, etc. Next place the alignment tool on the phone, remove the plastic cover on the adhesive side of the screen protector and align the screen protector with the “UP” marking on the alignment tool. Press down from the center with the microfiber cloth to secure the screen protector. Remove the alignment tool and use the microfiber cloth to squeeze out any remaining air bubbles. The alignment tool is a new addition for RhinoShield tempered glass screen protectors and we found it to be a helpful tool that made installing the screen protector much easier. 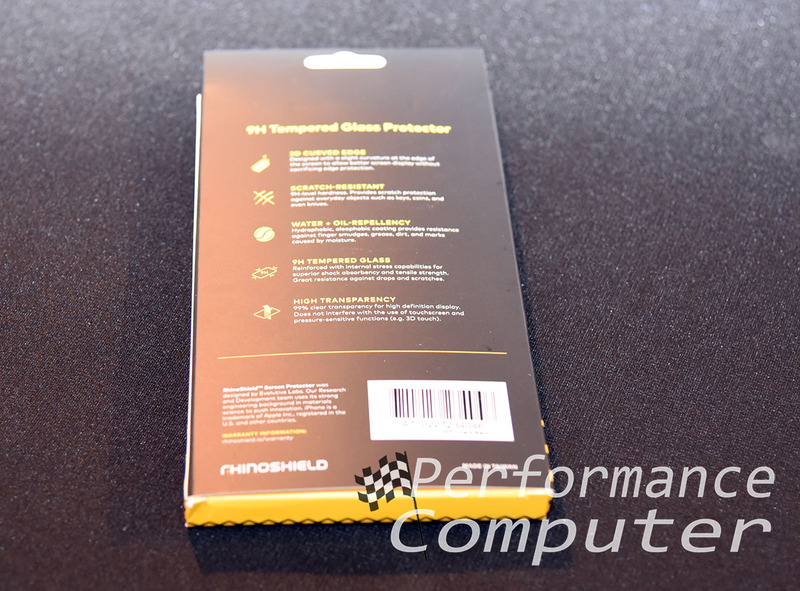 Overall, we’ve been extremely pleased with the quality of the glass used in RhinoShield’s screen protectors. 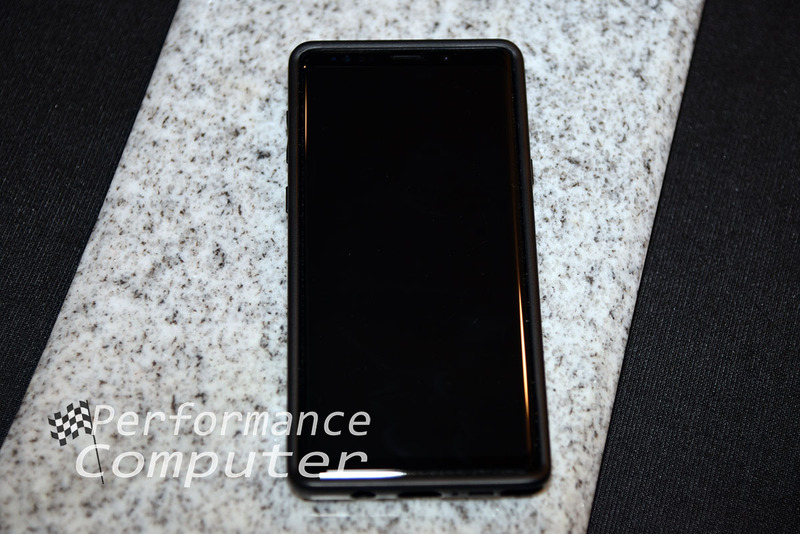 It resists fingerprints and smudges very well and perfectly blends in with the phone. Screen protectors, like cases are not something to cheap out on. Invest in a quality tempered glass screen protector and you will likely never need to replace your phone’s screen. RhinoShield has again made a worthy product that we couldn’t be more pleased with!